Annual contribution limits for 2018 are $3,450 for individuals and $6,850 for families. An employer — not just the employee — can contribute to the employee's account. Employees get triple tax savings. It can be difficult for employees to raise enough money to meet a deductible, in addition to saving enough money to pay for health related expenses. 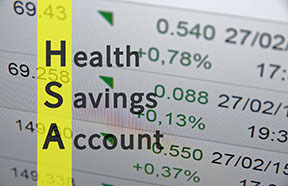 Some HSAs charge a monthly maintenance fee or a per transaction fee. The Revenue Act of 1978 created the FSA program. An FSA is similar to an HSA because it allows employees to save money tax free for qualified medical expenses, including medical, dental, vision, prescription and some over-the-counter costs. Employees also can use FSA funds to pay deductibles, and copayments, but not insurance premiums. FSAs don't have to be tied to a health plan, but account funds must be used during the plan year. You can offer a grace period of up to two and a half months; or you can let employees carry over as much as $500 each year — but not both. Any money not used by the end of the stated period is lost. 2018 contribution limits are $2,650 for healthcare expenses. 100-percent of the employee's annual election is available to them on the first day of the FSA plan year. Only $500 can be rolled over to the next year (at the employer's discretion). An HRA is funded by the employer and therefore is not portable, although it is allowed to cover former employees. When an individual's job status changes, the HRA funds stay with the employer. Employers may set up and fund a retirement HRA, and the HRA is subject to COBRA regulations. Please contact us to discuss implementing any of these arrangements for your plan.